Aunt Arctic introduces the Frozen Party to us with this newspaper issue. 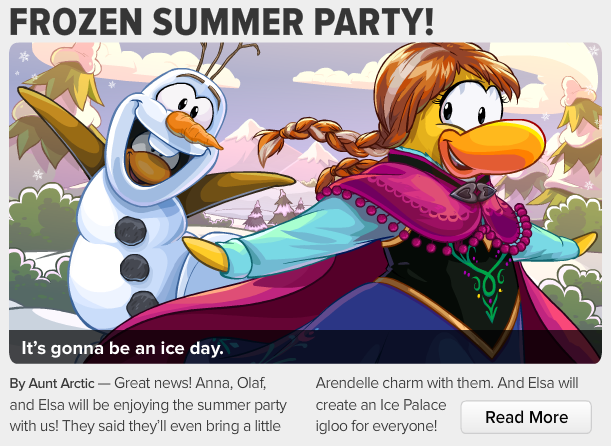 She talks about how Arendelle is getting ready to visit the Club Penguin island. 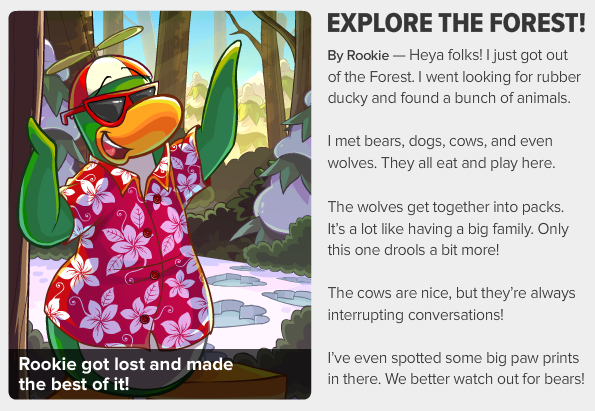 Rookie lets us know what's going on in the forest part of the Club Penguin island. 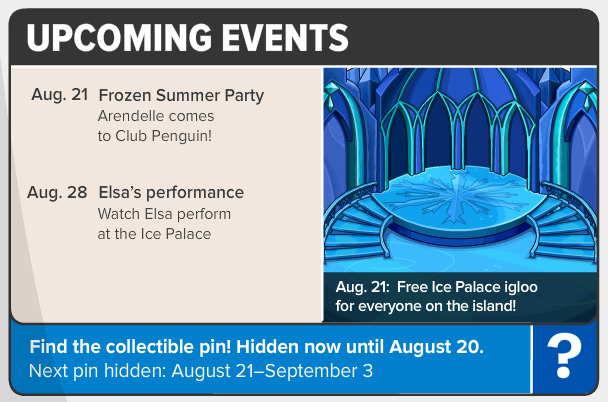 The Frozen Party starts on August 21 and Elsa performs on August 28.